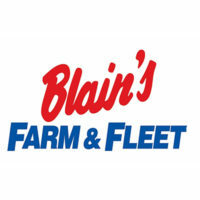 Farm & Fleet is an American discount retail store chain with more than 38 locations in Wisconsin, Illinois and Iowa. It offers a wide variety of products that includes agricultural and automotive supplies, outdoor gears, sports goods and hardware items. It was established as a family-owned business in 1955 by brothers in W. C. Blain and N. B. Blain in Janesville, Wisconsin which remains to be the location of its headquarters today. The company is still owned by the Blain family headed by N. B. Blain’s daughter, Jane Blain Gilbertson. Over the years, it has expanded into a wide variety of brands offering power tools and outdoor equipment, among others. Farm Fleet offers exciting benefits to its employees including paid vacation time, medical, dental, vision and life insurance, 401k retirement plan and profit sharing investment plan. People love working here because the company is centered on its family values of excellence, mutual respect and inclusivity. It also provides numerous career advancement opportunities and trainings. How old do you have to be to work at Farm & Fleet? It requires its applicants to be at least 16 years of age to be considered eligible for any available position including automotive and retail jobs. Mechanics: Their main role involves installing, repairing or replacing of automotive parts, performing DOT inspections, and implementing the Loss Prevention and Safety policies and procedures set by the management. Service Center Technicians: The job entails repairing, installing and balancing of tires, performing oil changes, replacing basic automotive parts while strictly observing safety assurance policies. Assistant Store Managers: They are in charge of providing support and assistance in overseeing the general operation of the store while ensuring the correct number of stocks and supplies, monitoring employee performance and excellent customer relations. Retail Store Clerks: They are responsible for ensuring that all customers get an excellent shopping experience. They welcome, greet and assist clients with their inquiries. They are expected to be knowledgeable of the products and store policies. Other common jobs in this company are: Warehouse Clerk, Distribution Center Material Handler, Stocking Crew, Tire Desk Clerk, Small Engine Desk Associate and Assistant Automotive Service Manager. Applicants have the option to apply through the online job portal of the company or personally submit their applications during scheduled careers shows held in universities. For more information, you may visit the careers section of their website. Applicants who are aiming for management training programs and internship opportunities should apply personally during the career events. They may send their general inquiries about the events to careers@farmandfleet.com. For other positions, it is best to apply online. Online applicants are prompted to accomplish an application form. It is important that all required details are provided with updated information such as contact details, and relevant work experiences. In writing a resume, jobseekers should observe proper spelling, grammar and formatting. No unnecessary layout designs should be added to avoid clutter. Personally submitted resumes should be presentable and printed in good quality paper. In preparing for the interview, applicants should rehearse discussing their qualifications confidently and smoothly. It will help to conduct a background research about the company, to show in-depth understanding about the position applied for. The company maintains a positive and family-oriented culture that upholds excellence and dedication. Employees treat each other as family members and everyone is given equal opportunity to advance in their careers. Farm & Fleet is engaged in major peace and sustainability movements in collaboration with other leading retail companies. It organizes projects such as Operation Porch Lights, integration of energy efficiency practices and hosting of K-9 unit demonstrations. As a family-oriented and family-owned establishment, Farm & Fleet is known for being closed during major holidays like Thanksgiving. It also does not operate 24/7, as they adhere to their company culture that “Family comes first”. Among the advocacies and initiatives supported by Farm & Fleet are the following projects and organizations: Kids Helping Kids, Bert and Claude Blaine Memorial Scholarships, 4-H Sponsorships, and various local communities.